While there isn't currently a discount field for services in Practice Ignition, there is a work around which should allow you to offer discounted rates to your clients. 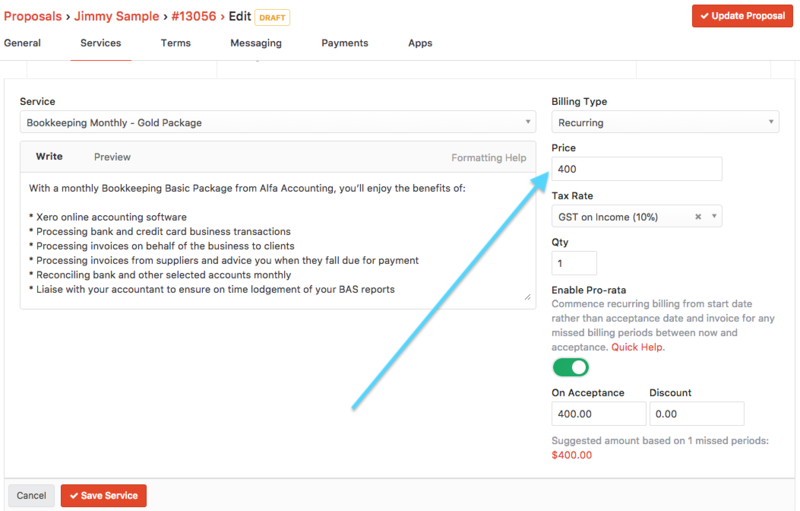 In the example above, you could override the default price and reduce it to say $350, effectively applying a discount of $50 or 12.5%. The drawback of discounting this way is that the client will not see that a discount has been applied when viewing their invoices. In order to show the client that they are getting a discount, you can simply add the details (standard price, discount rate, and discounted/final price) to the 'Service Description' while setting up the services on the proposal.